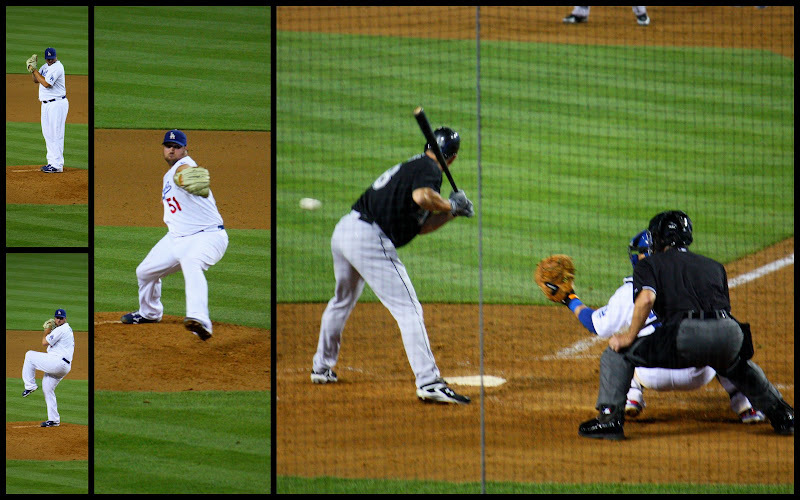 A recent trip to Dodgers stadium. We got decent seats at field level, but the best views by far were in the 9th inning when we stood in the walkway behind home page. Broxton came in to save the game after the Rockies threatened to tie it late.